My mom would approve. Whatever it takes. 14 Responses to Bad TeeVee, Cont. Yeah, kill a a man then burn down his house…is it an MS-13 spider? Did it salt the earth afterwards? “Redding ca”? 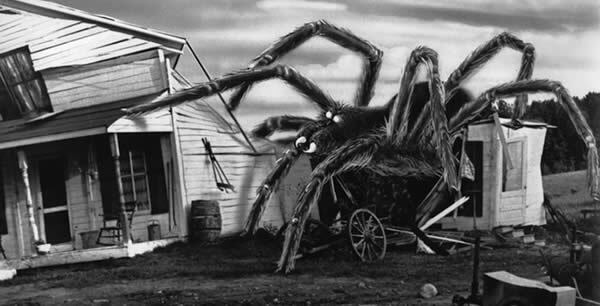 I’ve lived there, they do grow some big assed spiders in that summer heat. It might take the whole house ro be sure it died. Totally worth it, if you haven’t lived there, you can’t understand. I have spent a significant part of my working life living in tropical countries where there are some large and multi-colored spiders. I love and respect spiders. They are awesome predators mostly against things we humans really don’t like (household insects or crop pests). They’re actually quite beautiful animals. I don’t get why people don’t like them. When I was little, I was instructed to “stay away” from such critters. As a single digit old kid in Oklahoma, one of my earliest memories was a “black widow” in the heater vent. As an adult in both Humboldt and Shasta and Calaveras Counties, I have seen some “large” black widows, up close and personal. I don’t like spiders. End of story for me. I totally respect your feelings but spiders are not aggressive predators, including humans. There are a few dangerous species but they are rare. Most spiders are beneficial and don’t bother humans at all. They are mostly graceful artistic mini-predators. In fact. I make a HUGE exception for brown recluse spiders. Those fuckers are aggressive and can scar you for life. Black widows, on the other hand, are non-aggressive. It takes a lot of provocation for them to bite. Be careful looking up the brown recluse spider online. A whole lot of people see a large brown spider and assume it is a recluse. Image search brings up pictures where about half are not actually brown recluses. Even pest control sites sometimes get it wrong. Sticking to edu and science sites get more reliable results. This story had to involve a can of hairspray, a lighter, and a big fat splif. re:spiders…When I was a kid, I liked spiders and praying mantis and grasshoppers. I was never afraid or squicked out by them. We had a “toy” called Creepy Crawlers (anyone remember that?) and it had different colored liquid plastic that you poured into metal molds and baked. There were different insect molds and while the plastic solutions were solid colors like black, red, yellow, and blue, I tinkered with them to create pretty realistic browns and made some really cool bugs. You could also set safety pins in the solution so after they baked, you could wear a fake bug on your shirt. My prize piece was a very real-looking spider, small, not like a tarantula, and one day I came into the living room to find my mom stomping it like crazy. She was not amused. Maybe he watched “Arachnophobia” too many times. Or grew up with the 50’s atomic bomb fallout movies.? Poor spider.